8am: SHORT COURSE (there’s no long course, so competitors who usually do the long course will receive competitions points if they compete in the short course). 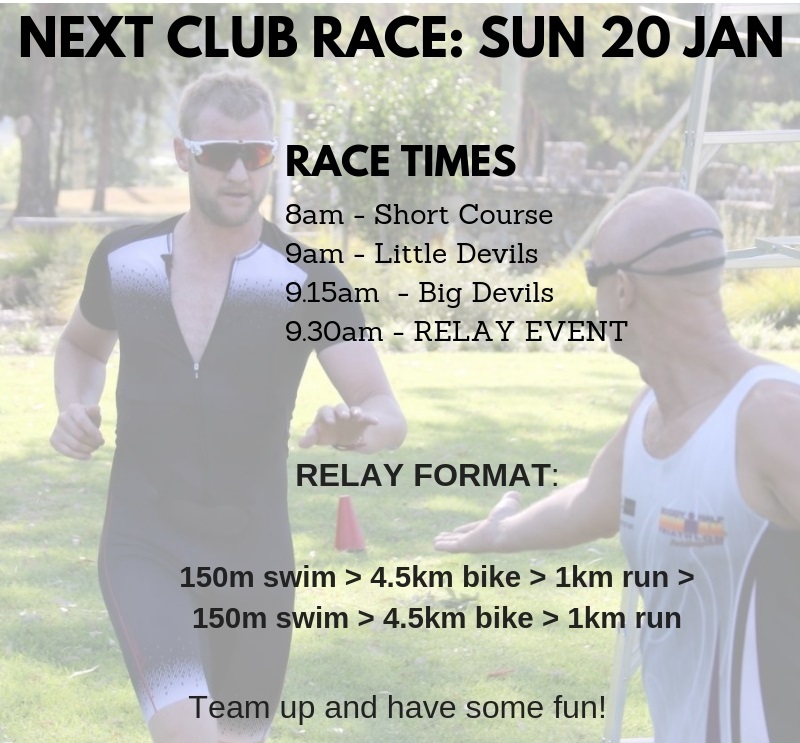 9.30am RELAY: 150m swim (3 lengths starting in the deep end)/4.5km (3 laps of our L-shaped course – a closed road) /1km (one lap of the park)/150m/5.4k/1km. The relay is not timed and we encourage everyone to join in. Non-members also welcome to participate. A normal triathlon relay event would have each competitor complete a mini-triathlon before tagging the next person. However, as long as you complete the relay in the above order, anyone in your team (minimum two but up to six people) can complete any leg. We will also help organise teams on the day. See you there!